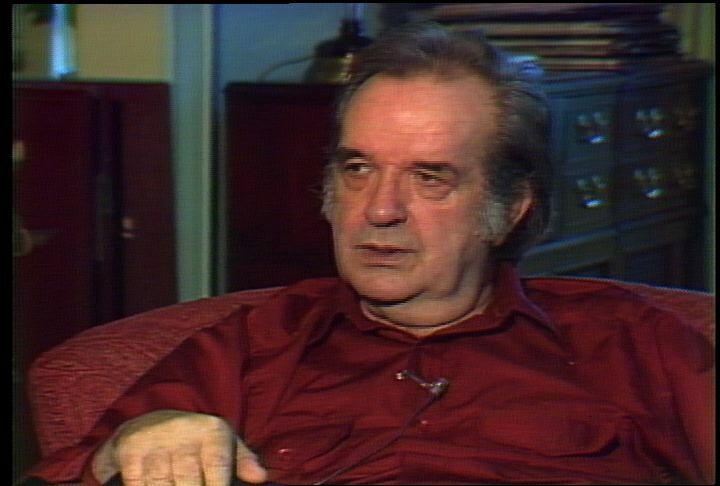 Description: Interview with Li'l Abner cartoonist and political satirist Al Capp in his Cambridge home. He talks about evading his father's creditors, and scheming to take semesters at various arts schools around the city. 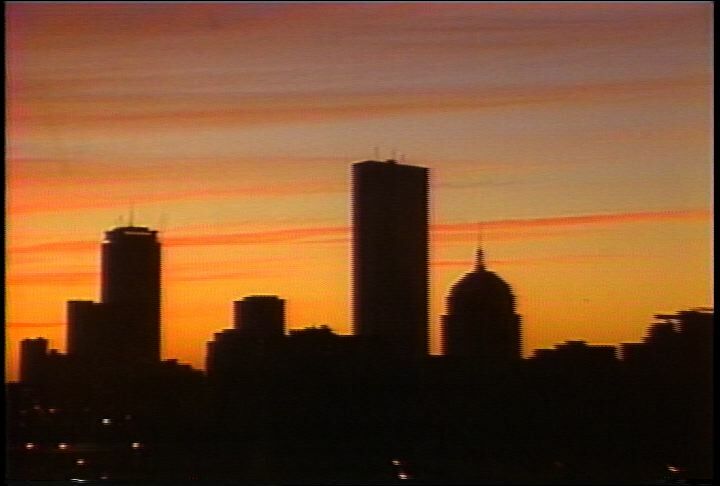 He says he likes the Boston view of the world, and talks about the influence Boston has had on his work. He talks about turning conservative. He criticizes American presidents, calling Gerald Ford ‘clumsy’ and Jimmy Carter ‘weak.’ He talks about working on Li'l Abner with a team of men. 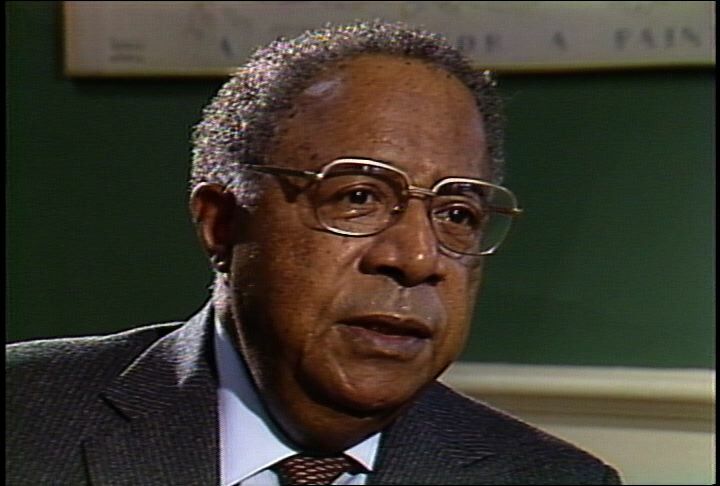 Description: Marcus Jones reports that Alex Haley discussed African American history and his work at a Black History Month event at Harvard University. Haley is in great demand as a speaker during Black History Month. Haley speaks to students and faculty. Interview with Haley, who talks about how he came to write the novel Roots. Haley also discusses the importance of African American history and the importance of Black History Month. Haley believes that Black History Month is important because it draws attention to African American history; he is concerned about a lack of historical awareness among African Americans. 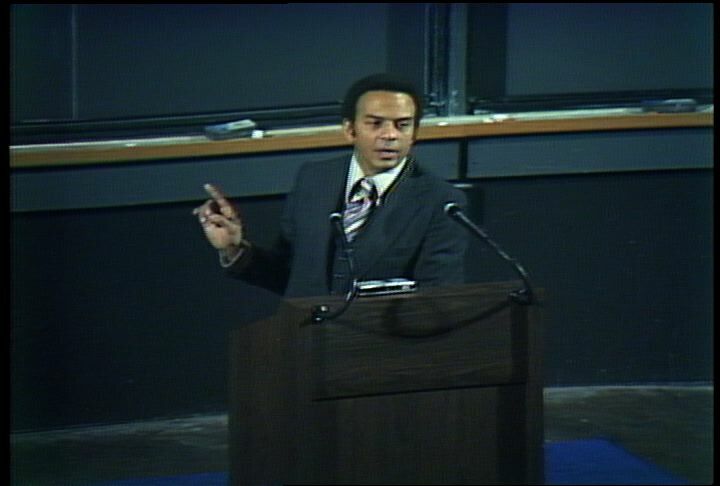 Jones's report is accompanied by footage from the television series based on Roots. 1:00:10: Visual: Footage of Alex Haley (author) walking into a building with two other men. Marcus Jones reports that February is the busiest month of the year for Haley; that February is known as Black History Month. V: Shot of Haley standing up as an a small audience applauds for him. 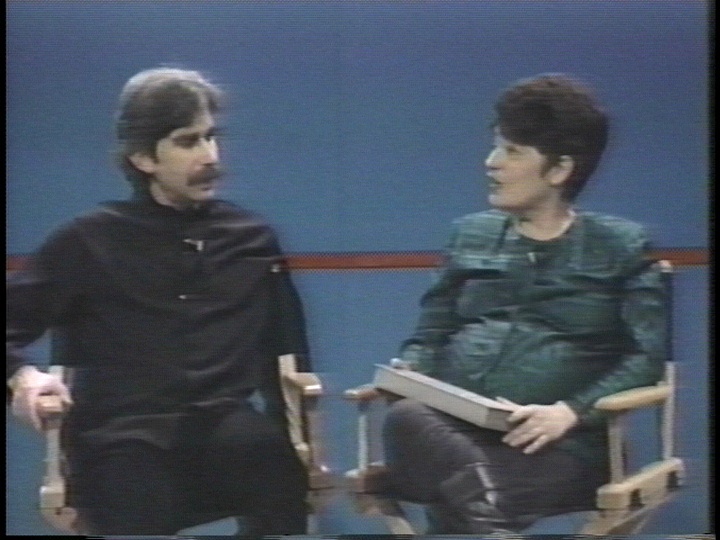 Footage of Haley being interviewed by Jones. Haley says that he will speak at thirty-two different venues during the month of February, 1991. Jones reports that Haley discussed history and his work with students and faculty at Harvard University today; that Haley will speak at Salem State College this evening. V: Shots of Haley speaking to students in a room at Harvard University. Shots of the students. Shot of the cover of Haley's novel, Roots. Jones reports that Haley told the story of his own family in Roots; that Haley is in great demand as a speaker during Black History Month. V: Footage Haley being interviewed by Jones. Haley says that people tend to talk about black history as if it is separate from American history. Haley says that black history is a part of American history; that people who claim to know American history must be familiar with black history. Haley says that American history has many components; that historians of American history must also know Native American history. Jones reports that Haley says that he does not court controversy. 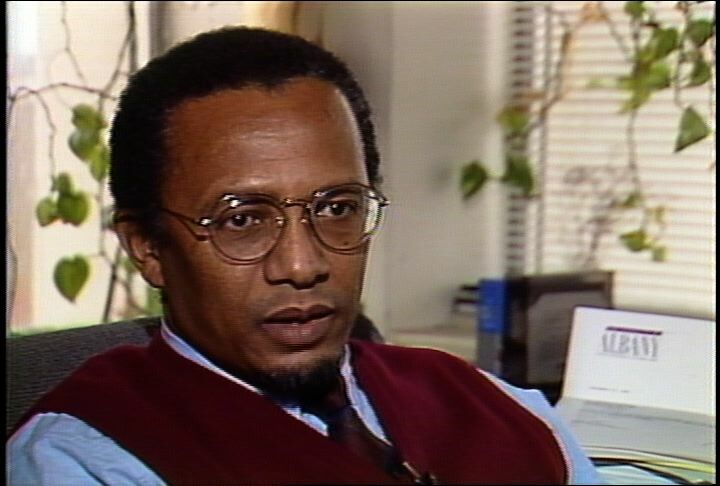 Jones reports that Haley is known for documenting the life of Malcolm X (African-American leader); that Malcolm X is a controversial figure. V: Shot of the cover of The Autobiography of Malcolm X. Footage from the TV series, Roots. Jones reports that history is always controversial; that Haley learned the power of history when he traced his family tree back to Africa. Footage of Haley being interviewed by Jones. Jones asks Haley about his motivation for writing Roots. Haley says that he had heard family stories from his grandmother and her sisters; that his initial motivation was curiousity. Haley says that the civil rights movement made him begin to think about Africa and his roots there; that his grandmother had told him stories handed down about Africa. Footage from Roots. Jones reports that all newcomers to the US are aware of their roots; that Haley is concerned about the lack of historical awareness among African Americans. V: Footage of Haley being interviewed by Jones. Haley says that most images of cowboys in the old west are of white cowboys; that more than half of the cowboys in the old west were African American. Haley says that it is important for young African Americans to know that African Americans were also cowboys. Haley says that young African Americans need to know the part played by their people in American history. Haley says that young African Americans cannot grow up thinking that they are the same as white people. Haley says that young African Americans need to be able to identify with other African Americans. Shots of Haley speaking to students at Harvard; of the students. Jones reports that Haley is not a critic of the limited attention given to black history during one month per year. Jones reports that Haley does not see Black History Month as "tokenism." Jones says that Haley sees Black History Month as an opportunity to encourage people to explore their roots. V: Footage of Haley being interviewed by Jones. Haley says that Black History Month is necessary because it sets aside a block of time to concentrate of black history. Haley says that he hopes that successive Black History Months in the coming years will leave a strong imprint on the popular perception of black history. Footage from Roots. 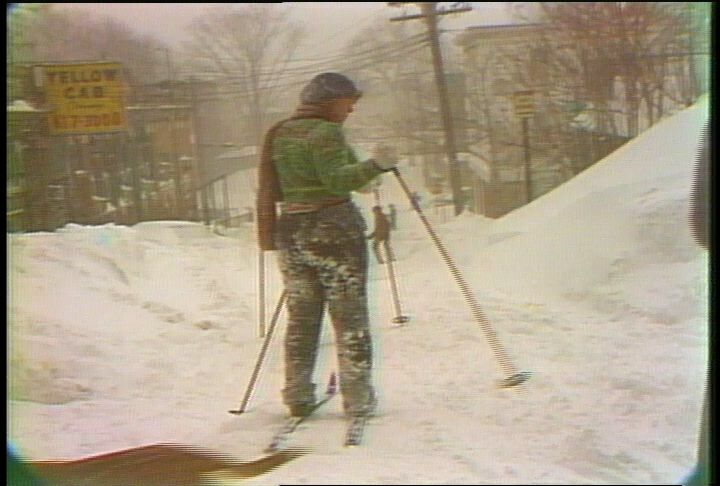 Description: Blizzard of '78. Snow falling and blowing. People digging out on Western Avenue. Plow on Storrow Drive. Chains on truck tires. Students and dogs on Harvard Square streets blanketed with snow. Cross-country skiers and people on snowshoes. Shots inside the news van, with radio reports on blizzard in the background. People trudge along Mt. Auburn St. and Mass. Avenue in Cambridge; some carry provisions on sleds. Massachusetts Avenue street sign. Man shovels out storefront. Deep snow banks. Tractor trailer jackknifed on Mass Ave. bridge over Charles River. People wait in line in front of White Hen Pantry. Description: Interiors of the Cambridge City Council chambers during the draft hearing. 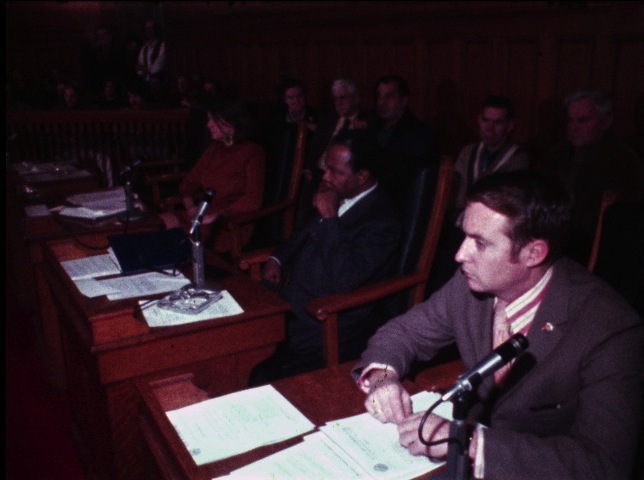 Description: Woman speaks against the Vietnam War draft, during the Cambridge City Council draft hearing. Description: In studio, Margaret Lazarus introduces David Sutherland (independent filmmaker), mentions his local origins and his original plan to be a feature filmmaker. He talks about his education at USC in editing and directing, and his return to New England to sell tires at his family’s business. He mentions some fellow film school students and that he met his wife around that time. He talks about the first documentary film he made and his film school documentary course taught by a man who had worked with Leni Riefenstahl. He talks about a customer at his tire store who owned a diner on wagon wheels, which was the subject of his 1979 documentary, “Down Around Here.” Lazarus shows the complete 31-minute film of “Down Around Here.” He talks about a Lithuanian man he met during the production of his next documentary, about which he created a short 3-minute piece, “Branco: An Unfinished Portrait.” Lazarus shows the complete 3-minute piece. He talks about how he met a painter named Paul Cadmus, who created a controversial painting of sailors that was seized by the U.S. Navy because he had depicted the sailors as homosexual. Lazarus shows a 6-minute, 30-second excerpt of the film he made about Cadmus, “Paul Cadmus: Enfant Terrible at 80.” He talks about another painter he made a film about, Jack Levine. Lazarus shows an 11-minute excerpt of the film, “Jack Levine: Feast of Pure Reason.” He talks about “Halftime,” a film that he was hired to make about five men, Yale graduates, who were coming to their 25th class reunion. Lazarus shows a 6-minute, 30-second excerpt of “Halftime.” He talks about a recent film he made, about an old painting. He talks about a current film he’s working on with his wife and another writer. He talks about “Out of Sight,” a film he’s working on about five blind people and their everyday lives, and the blind executive producer of the film, David Ticchi. 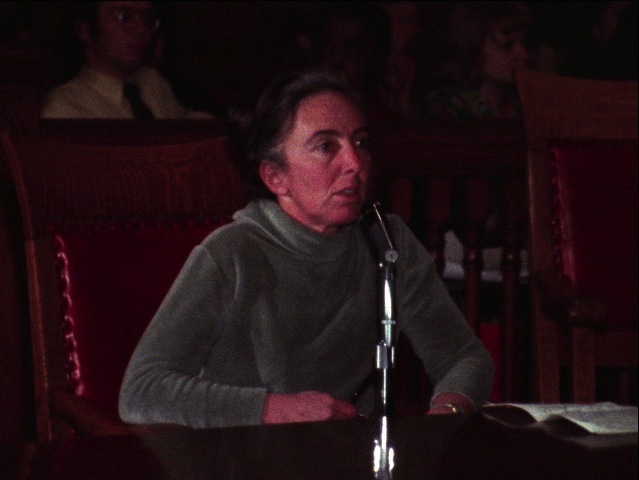 Description: Silent footage of a rent control hearing in Cambridge. Court scenes. 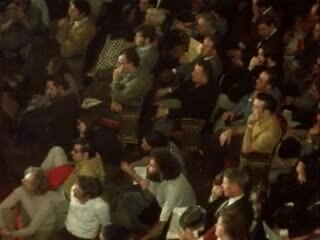 Spectators crowded into the balcony.